Stock, but enjoyable, studio-based chopsocky. “How dare you break in here, you’ll be leaving horizontally,” shouts one of Danny Lee’s henchmen. Lee plays the King of Dollars; a moneyed landowner whose mining operation has taken its toll on the townsfolk, who are severely vexed with their poor treatment and minimal compensation. 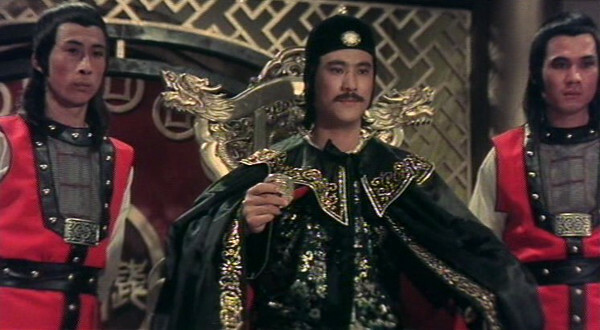 The King of Fists, Chiu Hung, and his daughter Pearl Cheung put up a heroic resistance, recruiting young country type David Chiang to join their alliance and improve his head-kicking skills. 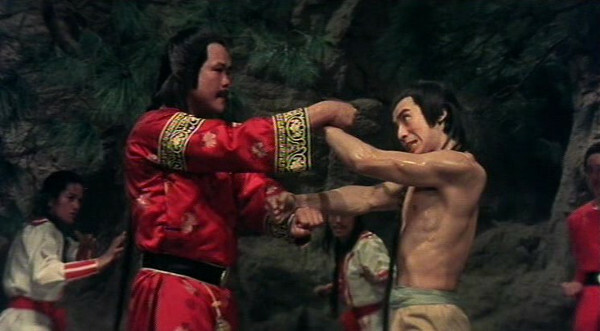 Quite predictably, the King of Fists is killed halfway through, leaving Cheung and Chiang to formulate some new kind of unisex system to finally defeat the King of Dollars and his crazy whirling money belt. AKA: Challenge of the Shaolin Disciples; King of Money & Fists. 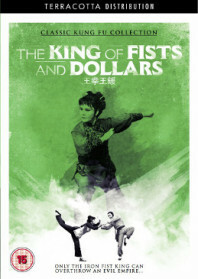 The King of Fists and Dollars is available to buy on UK DVD from Terracotta Distribution as part of their Classic Kung Fu Collection.